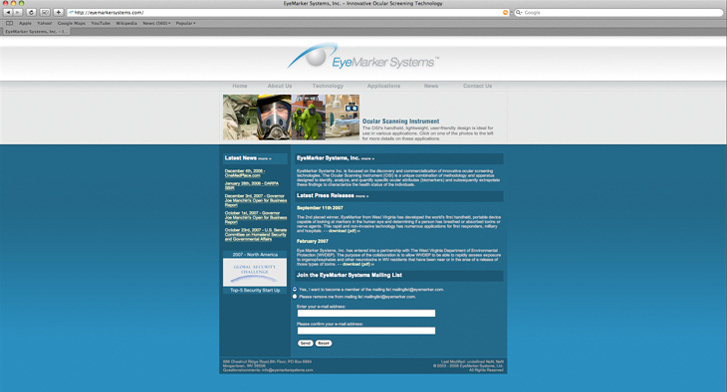 EyeMarker Systems Inc. is focused on the discovery and commercialization of innovative ocular screening technologies. They’re developing an Ocular Scanning Instrument called the RTD1000 that is designed to identify, analyze, and quantify specific ocular attributes ( such as airborn chemical agents) and subsequently extrapolate these findings to characterize the health status of the individuals. In english, that means that the device scans an individual’s eye and can display if said individual has been exposed to certain chemicals. 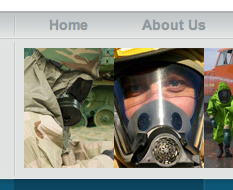 Pretty high tech stuff. 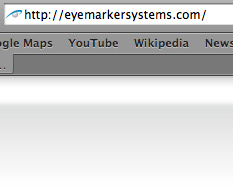 The site is still live and can be viewed at eyemarkersystems.com. All photographic images (with the exception of maybe two) were created by yours truely.